The Aaron Koppel Quartet is a local Chicago jazz ensemble lead by guitarist Aaron Koppel. Born and raised on the North Side of Chicago, Aaron started playing guitar at age eleven and has been composing music virtually his entire life. Over the years Koppel has established a name for himself in the local jazz scene and has also gained national recognition. Downbeat Magazine, in a recent article, states, “26-year-old Koppel takes a conventional form (mainstream jazz) and makes something of it, breaking up the material, avoiding the tendency to just write blowing vehicles.” In an article by legendary jazz critic Neil Tesser, Koppel is described as “an inventive composer and surprisingly mature 20-something leader” Jazziz Magazine, 2009. AKQ’s new album “Falling Together Falling Apart” is on the 2009 Grammy nominating ballot for Best Instrumental Jazz Album and made #7 in Neil Tesser’s Top Ten Chicago Jazz Discs of 2009. The AKQ were also nominated for two International jazz awards: Best International Jazz Song and Best International Jazz Group, in the 2007 Toronto Exclusive Magazine Awards. In 2007, the AKQ released their debut album “The Wild Call of the Multi-Tasker” recorded by Grammy-nominated producer/engineer Greg Magers. The album received high acclaim. “The Wild Call… kept me ‘til the end!” Bobby Broom, 2007. With the release of their first album, the AKQ has been able to establish a solid fan base which has given the group the opportunity of playing a variety of Chicago’s finest venues and music festivals. In 2009, AKQ recorded their second album Falling Together Falling Apart with Chicago Sessions, LLC. On this disc Koppel invited featured guest saxophonists Geof Bradfield and Greg Ward creating “a band of heavyweights” Chicago Jazz Magazine, 2009. 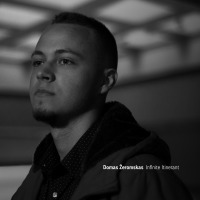 “The ensemble that Koppel has assembled for this recording reflects the best and brightest of the highly creative Chicago modern jazz scene…[Koppel] is at the top of his game as a soloist, his writing shows a depth and understanding of modern jazz harmony that is as exciting as it is engaging.” All About Jazz, 2009. 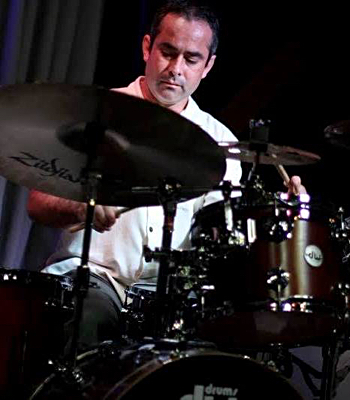 Currently, the Aaron Koppel Quartet is touring their newly released album and working on their third album, “Multiverse”, which will also be released by the Chicago jazz label Chicago Sessions. Humbled by their continued success, the AKQ is committed to furthering the message of jazz and perfecting their sound. 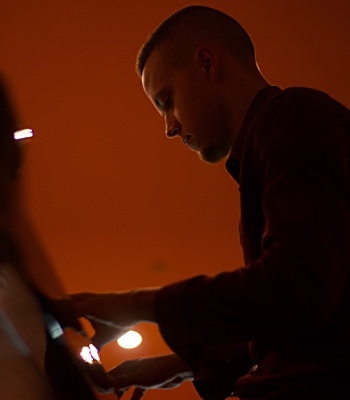 Aaron and his quartet look forward to creating more music and captivating audiences for years to come. “26-year-old Koppel takes a conventional form (mainstream jazz) and makes something of it, breaking up the material, avoiding the tendency to just write blowing vehicles.” -John Ephland, Downbeat Magazine, December 2009. “(Koppel) doesn’t dizzy you with his solos. He pops in when ready, and steps out of the spotlight with taste and grace.” -Steve Forstneger, Illinois Entertainer, December 2009. “On his quartet’s 2009 disc ‘Falling Together Falling Apart’, mainstream guitarist Aaron Koppel established himself as an inventive composer and surprisingly mature 20-something leader. 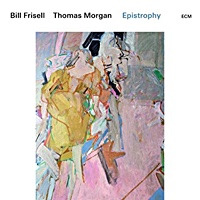 Inspired by the writing of Dave Holland and Avishai Cohen, the Chicago-area native studied guitar with Bobby Broom, which probably helps account for his tasty melodicism.” - Neil Tesser, Jazziz, Fall 2009. 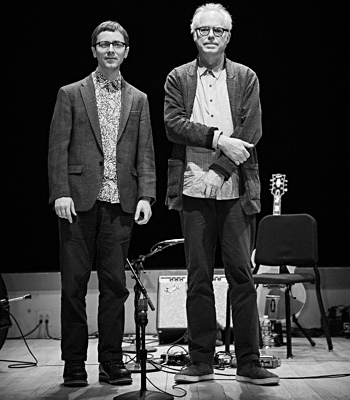 “(Koppel) is at the top of his game as a soloist, his writing shows a depth and understanding of modern jazz harmony that is as exciting as it is engaging.” - Matthew Warnock, All About Jazz, June 2009. EDUCATION - Columbia College Chicago (2003-2007) Bachelor of Fine Arts in Jazz Performance. Performed with jazz ensembles and combos, Joe Lovano, Jon Faddis, Pat Martino, and Bootsy Collins. - Studied with legendary Chicago jazz guitarist Bobby Broom (2002) - New Trier Township High School, Winnetka, IL (1997-2001) Played in the Downbeat award-winning jazz ensembles and bluegrass band. TEACHING EXPERIENCE - Adjunct Music Faculty Hinsdale Central High School (Sept 2007-current) Hinsdale Central High School, Hinsdale, IL www.hcjazz.org Responsibilities include running sectionals with all three jazz band's rhythm sections; running concert band sectionals, running percussion ensemble; and private jazz instruction for piano, bass, and guitar. - Guitar Instructor (Feb 2007-current) Allegro Music Center, Park Ridge, IL www.allegromusiccenter.net Teaching private lessons in jazz and rock guitar. - Band Instructor (Sept 2009-current) A Sound Education, Brookfield, IL www.asoundeducation.com Responsibilities include leading rock ensemble rehearsals and performances, arranging songs for the rock ensembles, playing bass, guitar and back up vocals. -DayJams Guitar Instructor (July 2010-current) DayJams Rock Music Day Camp, www.dayjams.com Responsibilities include teaching group guitar lessons, lyric and songwriting workshops, and leading rock ensembles. - Guitar and Band Instructor (Dec 2010-current) Des Plaines School of Music, www.desplainesschoolofmusic.com Teaching private guitar lessons, rock band classes and girls pop guitar classes. - Music Theory Instructor (Oct-Dec 2008) The Helen C. Peirce School of International Studies, Chicago, IL Music theory instructor for Music For Kids, a not-for-profit, with the goal of making music lessons available to underprivileged children. Taught basic music theory to a classroom of 25 students in grades 3 to 5. - Camp Jam Counselor (June-July 2008) Camp Jam (as seen on MTV's Camp'd Out series), a summer music rock camp, www.campjam.com, Responsibilities included leading rock ensembles, teaching songwriting and song analysis. PROFESSIONAL EXPERIENCE -May 2011: Performed guitar on the soundtrack for the movie, Cadaver, starring Christopher Lloyd, actor: Taxi, Back to the Future, and Tavi Gevinson. - Feb 2010: Aaron Koppel Quartet featured on WGN-TV Midday National News. - 2006-current: Performing with Aaron Koppel Quartet at The Jazz Showcase, Andy’s Jazz Club, Martyrs, Kinetic Playground, and many of Chicago’s finest venues and festivals. Aaron Koppel Quartet received a 3 ½ Star Downbeat magazine review for their 2nd album, released in 2009. The new album is on the 2009 Grammy Nominating Ballot for Best Instrumental Jazz Album. - Jun 2007-current: Performing Jazz standards as a guitar-bass duo, 2-3 times a month at Julius Meinl (Austria’s Legendary Coffee House) in Chicago. - Apr 2009-current: Performing for WDCB sponsored events including; Jazz at Salute and Jazz in the Bistro - Feb 2008-Apr 2009: Playing guitar with Kris Myers (drummer from Umphery's Mcgee) in the band Goodnight Nurse, which is an all-original live electronica group that has opened up for bands such as EOTO(members of String Cheese Incident), and The Guess Who. - Sept 2007-Feb 2009: Performing at Andy's Jazz Club and other Chicago venues with tenor saxophonist Frank Catalano. - Aug 2006-Jan 2007, Mar-April 2008: Guitarist for Party/Showband for Holland America's cruise ship line. Performing 50's-90's top 40 music and sight reading guest entertainer shows that included r&b, rock, Latin, jazz, and country. - 2006 June-July: Electronic Baby (a rock musical) performed at the American Theater Company. - 2006: Performing in the house band for Improv Olympic’s Baby Wants Candy. AWARDS/NOMINATIONS - Jan 2010: Aaron Koppel Quartet’s album, “Falling Together Falling Apart” made #7 in Neil Tesser’s Top Ten Chicago Jazz Discs of 2009. - Jan 2010: Aaron Koppel Quartet‘s album, “Falling Together Falling Apart“ made #12 in JazzChicago.net’s Top Chicago Recordings of 2009. - Dec 2009: Aaron Koppel Quartet nominated for the 2009 Grammy nominating ballot for Best Instrumental Jazz Album "Falling Together Falling Apart" - Oct 2007: Toronto Exclusive Magazine Awards: Aaron Koppel Quartet nominated for best international jazz group and jazz song. - Feb 2007: received outstanding performance award at The 49th Annual Collegiate Jazz Fest, University of Notre Dame, IN. IMPORTANT ASPECTS OF MY APPROACH TO TEACHING -Patience, friendliness, and passion. -Style Studies: Jazz, Rock, Pop, R&B, Funk, Folk, Latin. -Teaching songs as a vital part of learning music. -Music Reading: Single Line, Chords, Melodic Rhythm Studies -Improvisation: Scale and Arpeggio Studies, Phrasing, Transcribed Solos -Coaching in ear-training, sight-singing, composition, theory and harmony. REVIEWS “A new force to contend with.” -Alain Drouot, Jazzgram, Jazz Institute of Chicago, July 2010 “26-year-old Koppel takes a conventional form (mainstream jazz) and makes something of it, breaking up the material, avoiding the tendency to just write blowing vehicles.” -John Ephland, Downbeat Magazine, December 2009. “(Koppel) doesn’t dizzy you with his solos. He pops in when ready, and steps out of the spotlight with taste and grace.” -Steve Forstneger, Illinois Entertainer, December 2009. “On his quartet’s 2009 disc ‘Falling Together Falling Apart’, mainstream guitarist Aaron Koppel established himself as an inventive composer and surprisingly mature 20-something leader. 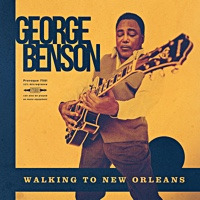 Inspired by the writing of Dave Holland and Avishai Cohen, the Chicago-area native studied guitar with Bobby Broom, which probably helps account for his tasty melodicism.” - Neil Tesser, Jazziz, Fall 2009. “(Koppel) is at the top of his game as a soloist, his writing shows a depth and understanding of modern jazz harmony that is as exciting as it is engaging.” - Matthew Warnock, All About Jazz, June 2009. 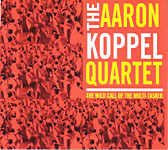 DISCOGRAPHY	- June 2011: Aaron Koppel Quartet 3rd album Multiverse recorded under the Chicago jazz label Chicago Sessions. - May 2011: Performed guitar on the soundtrack for the animated movie, Cadaver, starring Christopher Lloyd and Tavi Gevinson. - Summer 2010: Aaron Koppel Quartet featured on the Jazziz compilation CD, Jazziz on Disc, Summer 2010 (Disc 1) Six Strings And Other Things - 2010: Aaron Koppel Quartet featured on the 2010 Chicago Jazz Magazine Compilation CD, This is Chicago Jazz - April 2009: Aaron Koppel Quartet with Greg Ward and Geof Bradfield: Falling Together Falling Apart recorded under the Chicago jazz label Chicago Sessions. - Nov 2008: Just The Beginning with saxophonist Tim Warfield and James Perkins on an independent album released by saxophonist Dudley Ownes. - Dec 2007: HRC Investment Advisors holiday album: HRC Holiday Compilation - Oct 2007: Shawn Maxwell Quartet: Originals II - June 2007: Aaron Koppel Quartet: The Wild Call of the Multi-Tasker - Dec 2006: Rob Nicholas and a Moment’s Notice: Secrets To Be Told AUDIO/VIDEO EXAMPLES www.myspace.com/aaronkoppelmusic www.myspace.com/akchicagojazz www.sonicbids.com/aaronkoppelquartet www.youtube.com/koppeljazz Hi, My name is Aaron Koppel I have been teaching guitar for 10 years and I have been playing music most of my life. I am a very friendly, patient and passionate teacher. I also play with some of the best musicians in and around Chicago. I have performed and or recorded with: Tim Warfield, Matthew Santos, vocalist: Lupe Fiasco, Christopher Lloyd, actor: Taxi, Back to the Future, Vince Welnick, keyboardist/vocalist: Grateful Dead, Frank Catalano, Kris Myers, drummer: Umphrey's McGee, Chris Siebold, Greg Ward, Geof Bradfield, and many others. You can check out more info about me and my music at http://www.myspace.com/aaronkoppelmusic I currently have openings for students on Mondays at my Hinsdale location. I have openings at my Park Ridge location on Tuesdays, Fridays and Saturdays. I have openings at my Des Plaines location on Wednesdays and Thursdays. I am also available on different days for lessons in your home in and around Chicago, Park Ridge and Hinsdale. Please email me to get more info on lessons and rates. BELOW IS MY RESUME. Thank you for your interest! Aaron Koppel PROFESSIONAL EXPERIENCE -May 2011: Performed guitar on the soundtrack for the movie, Cadaver, starring Christopher Lloyd, actor: Taxi, Back to the Future, and Tavi Gevinson. - Feb 2010: Aaron Koppel Quartet featured on WGN-TV Midday National News. - 2006-current: Performing with Aaron Koppel Quartet at The Jazz Showcase, Andy’s Jazz Club, Martyrs, Kinetic Playground, and many of Chicago’s finest venues and festivals. Aaron Koppel Quartet received a 3 ½ Star Downbeat magazine review for their 2nd album, released in 2009. The new album is on the 2009 Grammy Nominating Ballot for Best Instrumental Jazz Album. - Jun 2007-current: Performing Jazz standards as a guitar-bass duo, 2-3 times a month at Julius Meinl (Austria’s Legendary Coffee House) in Chicago. - Apr 2009-current: Performing for WDCB sponsored events including; Jazz at Salute and Jazz in the Bistro - Feb 2008-Apr 2009: Playing guitar with Kris Myers (drummer from Umphery's Mcgee) in the band Goodnight Nurse, which is an all-original live electronica group that has opened up for bands such as EOTO(members of String Cheese Incident), and The Guess Who. - Sept 2007-Feb 2009: Performing at Andy's Jazz Club and other Chicago venues with tenor saxophonist Frank Catalano. - Aug 2006-Jan 2007, Mar-April 2008: Guitarist for Party/Showband for Holland America's cruise ship line. Performing 50's-90's top 40 music and sight reading guest entertainer shows that included r&b, rock, Latin, jazz, and country. - 2006 June-July: Electronic Baby (a rock musical) performed at the American Theater Company. - 2006: Performing in the house band for Improv Olympic’s Baby Wants Candy. 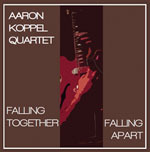 AWARDS/NOMINATIONS - Jan 2010: Aaron Koppel Quartet’s album, “Falling Together Falling Apart” made #7 in Neil Tesser’s Top Ten Chicago Jazz Discs of 2009. - Jan 2010: Aaron Koppel Quartet‘s album, “Falling Together Falling Apart“ made #12 in JazzChicago.net’s Top Chicago Recordings of 2009. - Dec 2009: Aaron Koppel Quartet nominated for the 2009 Grammy nominating ballot for Best Instrumental Jazz Album "Falling Together Falling Apart" - Oct 2007: Toronto Exclusive Magazine Awards: Aaron Koppel Quartet nominated for best international jazz group and jazz song. - Feb 2007: received outstanding performance award at The 49th Annual Collegiate Jazz Fest, University of Notre Dame, IN. REVIEWS “A new force to contend with.” -Alain Drouot, Jazzgram, Jazz Institute of Chicago, July 2010 “26-year-old Koppel takes a conventional form (mainstream jazz) and makes something of it, breaking up the material, avoiding the tendency to just write blowing vehicles.” -John Ephland, Downbeat Magazine, December 2009. “(Koppel) doesn’t dizzy you with his solos. He pops in when ready, and steps out of the spotlight with taste and grace.” -Steve Forstneger, Illinois Entertainer, December 2009. “On his quartet’s 2009 disc ‘Falling Together Falling Apart’, mainstream guitarist Aaron Koppel established himself as an inventive composer and surprisingly mature 20-something leader. 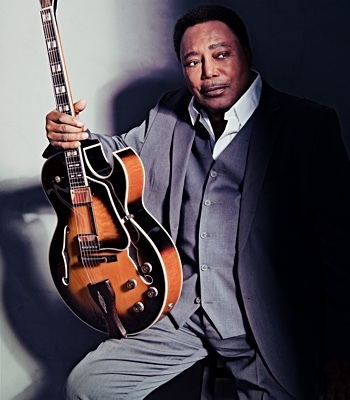 Inspired by the writing of Dave Holland and Avishai Cohen, the Chicago-area native studied guitar with Bobby Broom, which probably helps account for his tasty melodicism.” - Neil Tesser, Jazziz, Fall 2009. “(Koppel) is at the top of his game as a soloist, his writing shows a depth and understanding of modern jazz harmony that is as exciting as it is engaging.” - Matthew Warnock, All About Jazz, June 2009. IMPORTANT ASPECTS OF MY APPROACH TO TEACHING -Patience, friendliness, and passion. -Style Studies: Jazz, Rock, Pop, R&B, Funk, Folk, Latin. -Teaching songs as a vital part of learning music. 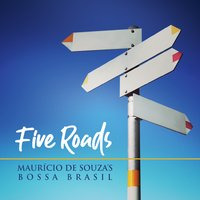 -Music Reading: Single Line, Chords, Melodic Rhythm Studies -Improvisation: Scale and Arpeggio Studies, Phrasing, Transcribed Solos -Coaching in ear-training, sight-singing, composition, theory and harmony. 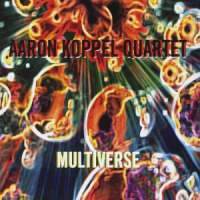 DISCOGRAPHY	- June 2011: Aaron Koppel Quartet 3rd album Multiverse recorded under the Chicago jazz label Chicago Sessions. - May 2011: Performed guitar on the soundtrack for the animated movie, Cadaver, starring Christopher Lloyd and Tavi Gevinson. - Summer 2010: Aaron Koppel Quartet featured on the Jazziz compilation CD, Jazziz on Disc, Summer 2010 (Disc 1) Six Strings And Other Things - 2010: Aaron Koppel Quartet featured on the 2010 Chicago Jazz Magazine Compilation CD, This is Chicago Jazz - April 2009: Aaron Koppel Quartet with Greg Ward and Geof Bradfield: Falling Together Falling Apart recorded under the Chicago jazz label Chicago Sessions. - Nov 2008: Just The Beginning with saxophonist Tim Warfield and James Perkins on an independent album released by saxophonist Dudley Ownes. - Dec 2007: HRC Investment Advisors holiday album: HRC Holiday Compilation - Oct 2007: Shawn Maxwell Quartet: Originals II - June 2007: Aaron Koppel Quartet: The Wild Call of the Multi-Tasker - Dec 2006: Rob Nicholas and a Moment’s Notice: Secrets To Be Told AUDIO/VIDEO EXAMPLES www.myspace.com/aaronkoppelmusic www.myspace.com/akchicagojazz www.sonicbids.com/aaronkoppelquartet www.youtube.com/koppeljazz EDUCATION - Columbia College Chicago (2003-2007) Bachelor of Fine Arts in Jazz Performance. Performed with jazz ensembles and combos, Joe Lovano, Jon Faddis, Pat Martino, and Bootsy Collins. - Studied with legendary Chicago jazz guitarist Bobby Broom (2002) - New Trier Township High School, Winnetka, IL (1997-2001) Played in the Downbeat award-winning jazz ensembles and bluegrass band. TEACHING EXPERIENCE - Adjunct Music Faculty Hinsdale Central High School (Sept 2007-current) Hinsdale Central High School, Hinsdale, IL www.hcjazz.org Responsibilities include running sectionals with all three jazz band's rhythm sections; running concert band sectionals, running percussion ensemble; and private jazz instruction for piano, bass, and guitar. - Guitar Instructor (Feb 2007-current) Allegro Music Center, Park Ridge, IL www.allegromusiccenter.net Teaching private lessons in jazz and rock guitar. - Band Instructor (Sept 2009-current) A Sound Education, Brookfield, IL www.asoundeducation.com Responsibilities include leading rock ensemble rehearsals and performances, arranging songs for the rock ensembles, playing bass, guitar and back up vocals. -DayJams Guitar Instructor (July 2010-current) DayJams Rock Music Day Camp, www.dayjams.com Responsibilities include teaching group guitar lessons, lyric and songwriting workshops, and leading rock ensembles. - Guitar and Band Instructor (Dec 2010-current) Des Plaines School of Music, www.desplainesschoolofmusic.com Teaching private guitar lessons, rock band classes and girls pop guitar classes. - Music Theory Instructor (Oct-Dec 2008) The Helen C. Peirce School of International Studies, Chicago, IL Music theory instructor for Music For Kids, a not-for-profit, with the goal of making music lessons available to underprivileged children. Taught basic music theory to a classroom of 25 students in grades 3 to 5. - Camp Jam Counselor (June-July 2008) Camp Jam (as seen on MTV's Camp'd Out series), a summer music rock camp, www.campjam.com, Responsibilities included leading rock ensembles. All About Jazz musician pages are maintained by musicians, publicists and trusted members like you. Interested? Tell us why you would like to improve the Aaron Koppel musician page.